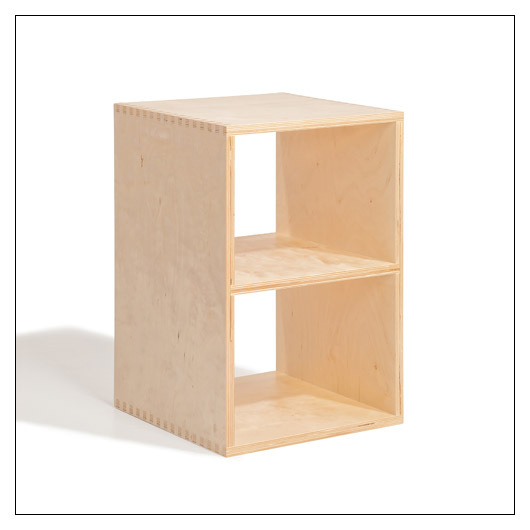 BBox2 Half-Sized Stacking Shelf (VBB2022) at Pure Design / Bedroom / Bedside Tables ::: Furniture for the Home, Office, Home Office, and More at Pure Design Online! For the designer in you, Offi offers beautifully designed components for you to create whatever configuration you need to fill your space. Available now in Birch and later in Walnut, the BBbox2s with their perfectly made dovetail joints can be stand alone pieces for a side table, lay one on its side to use as a coffee table, or add to the BBox4 to create any number of configurations.